The sailing legend said the concept would be as quick if not quicker than the foiling catamarans used in the last America’s Cup. 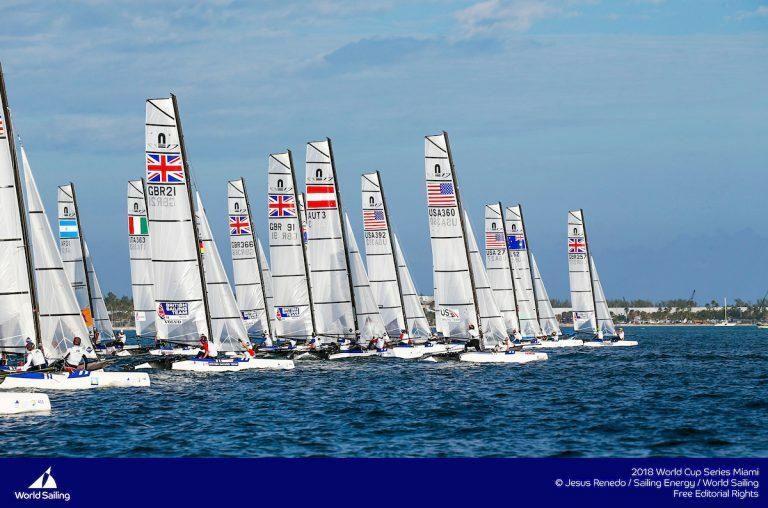 Team USA employed the foiling 50ft catamarans which could race at 50 knots with less than half that breeze. The Kiwis, and defending champs, who defeated the American team to take the Cup to Auckland, recently announced that the sport would return to monohulls. They just released the concept drawings as they plan for 2021. The new class of boats will use a foiling monohull on two large canting T-foils and a single T-foil rudder. Ainslie, who had voiced his opinion on continuing with the multihulls, said he was impressed and won over by the new designs. “The Defender, Emirates Team New Zealand, and the Challenger od Record, Luna Rossa, have delivered a truly high performance boat that will make the next America’s Cup an incredible sporting and technical challenge,” he was quoted to have said. Ainslie added that the team hopes to “consult” with the Defender and Challenger of Record ahead of the final class rule in March 2018 so they can start tackling the challenges of the new class. The Land Rover BAR team says their modeling indicates that the monohulls can do 50 knots but that it would be “a hell of challenge to sail a boat like this.” The new CEO Grant Simmer opines that the boats will be tricky in lighter winds as the hull will be in the water. He hopes the team gets their conceptual approach right from the start to take advantage of the new class.